Unless otherwise stated, photo provided by Outlandish Outfit Day at CHOM! Outlandish Outfit Day at CHOM! Saturday, February 9, 2019 9 am – 4:30 pm Become a fashion designer! 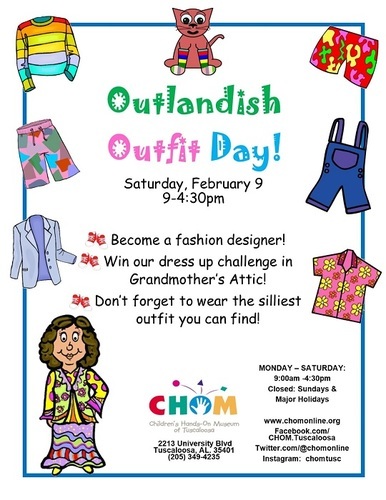 Win our dress up challenge in Grandmother’s Attic! Don’t Forget to wear the silliest outfit you can find!